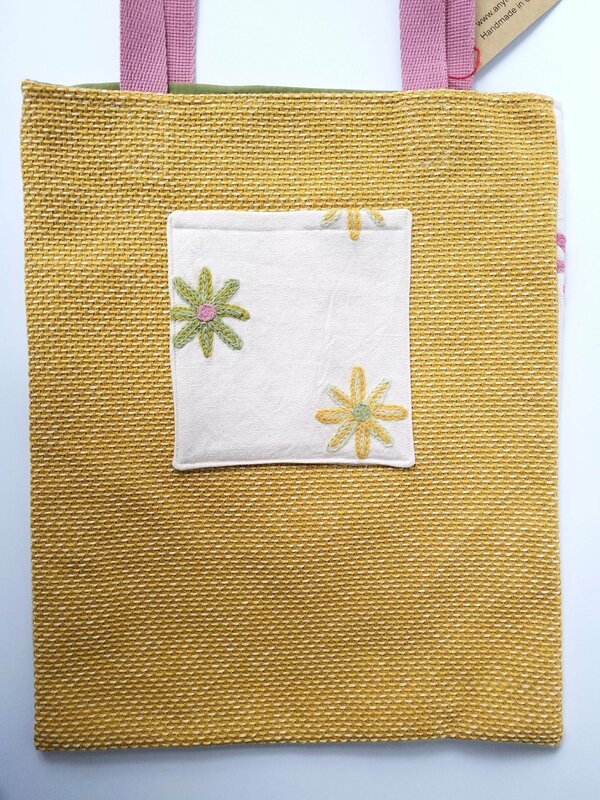 This reusable cloth shopping tote is a staple to keep in your car or fold into your purse. It’s a great thing to have handy whenever you need a little extra storage! One of a kind, it has beautiful floral embroidery on the front and a large pocket on the back for quick access to phone or keys. Get it for yourself as a useful everyday item, or give to any woman or teen in your life. Moms, grandmas, daughters, granddaughters, sisters, friends or teachers will all love to get this present! 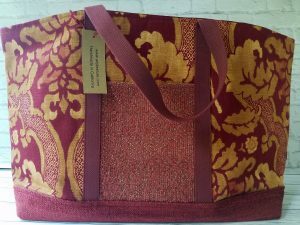 – The tote is flat, ans is 14" x 17." – The strap is 22" long (about 10" from top of bag to top of strap), and can go over the shoulder. 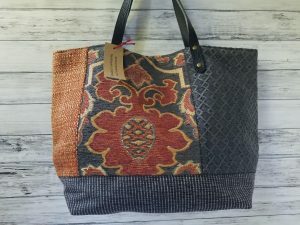 – The body of the tote is made from rescued high-end and hard to come by designer upholstery fabrics, that are both gorgeous and strong. – The strap is a strong, pink cotton webbing. 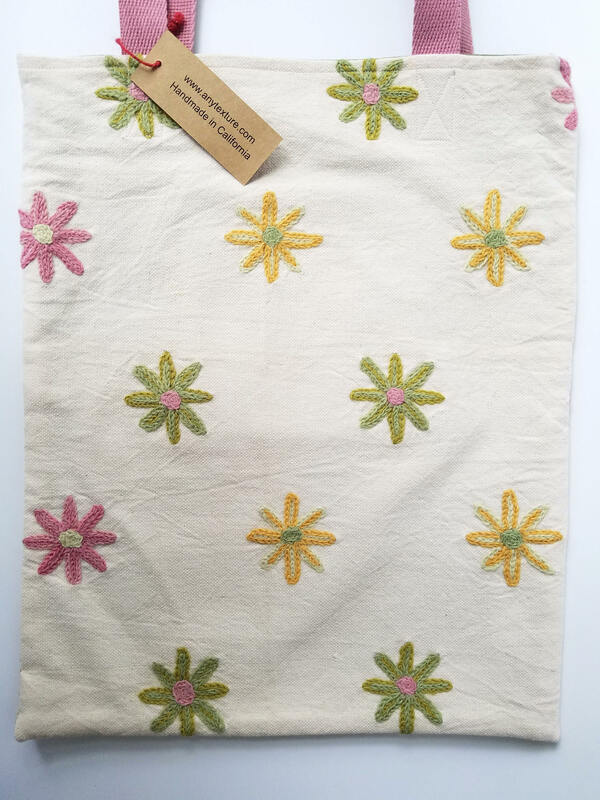 – The front of this tote has a beautiful, machine-embroidered floral pattern. 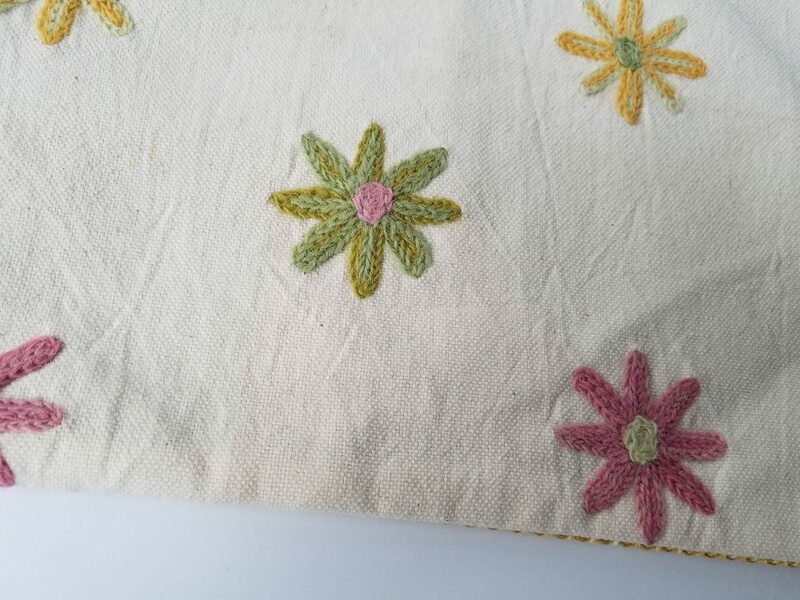 The embroidery is made of a wool thread in green, pink and yellow. 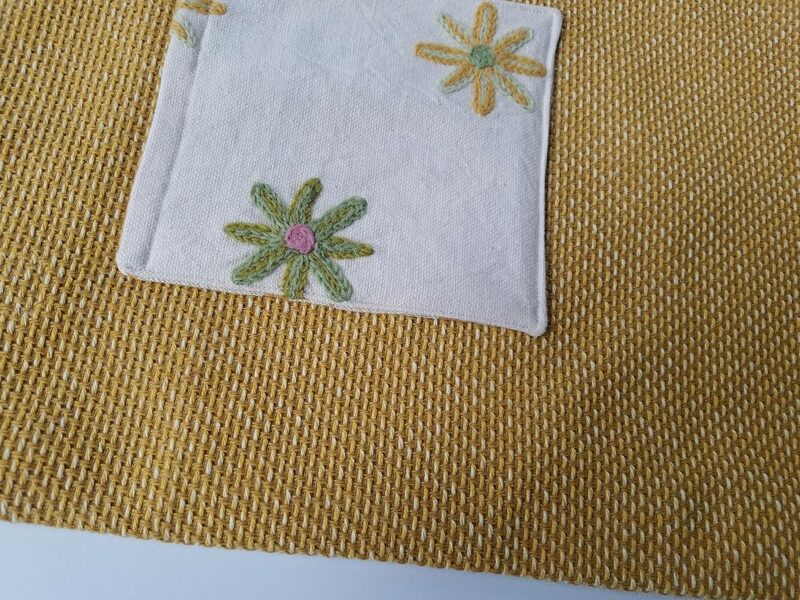 The flowers are embroidered on a beige background. – The back is a solid dark yellow. – The back features a large outside pocket made of the same embroidered fabric as the front. The pocket is lined. 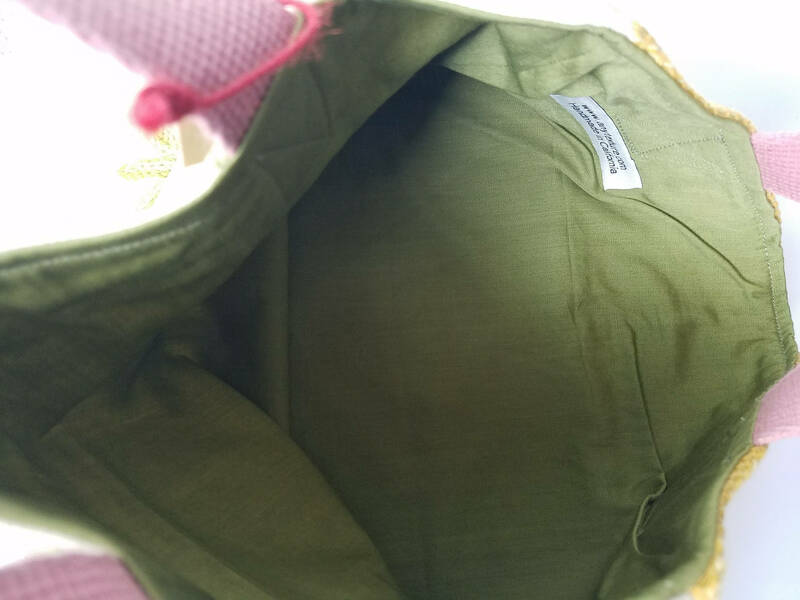 – This tote is lined with a solid olive cotton. 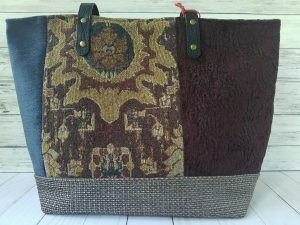 – This bag is sustainable and eco-friendly. 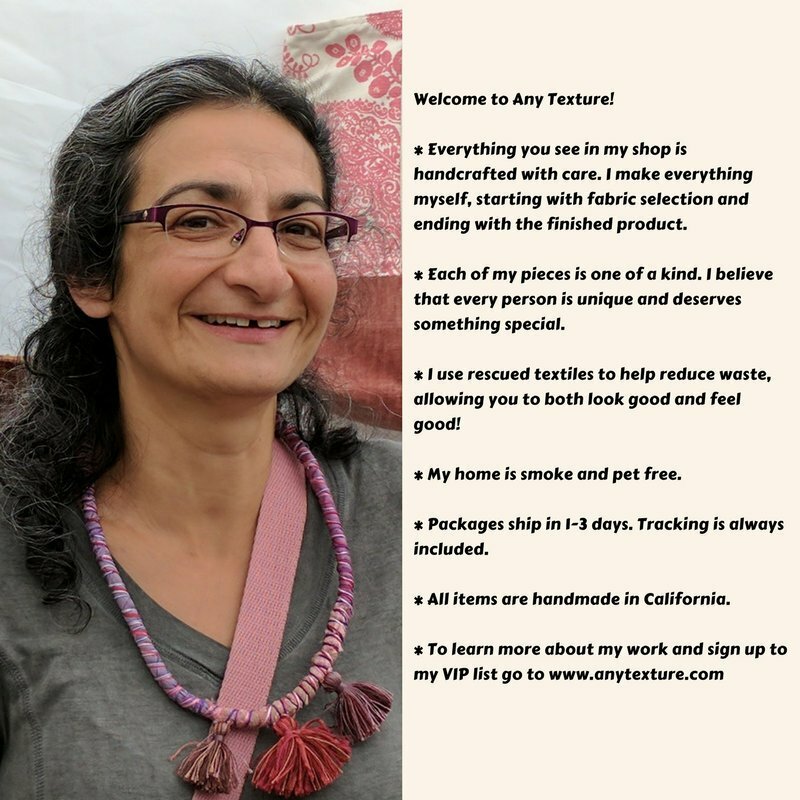 – It was designed and sewn by me in my smoke-free and pet-free home. This bag is already made and ready to ship via USPS Priority Mail. Priority mail insures a quick and safe delivery.